I recently tried the new Area 4 in the South End with a large group. They had a great cocktail list and extensive selection of pizzas, which could be ordered gluten free. 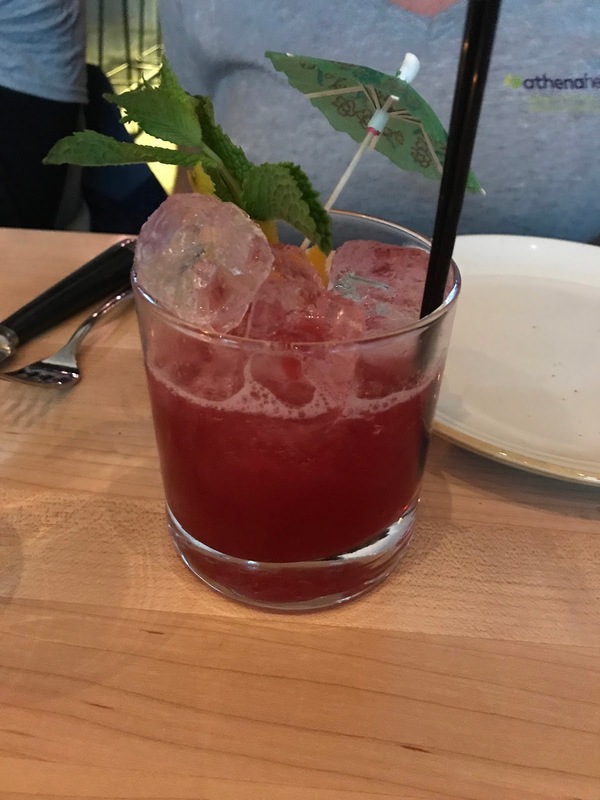 This Malibu Beach Barbie cocktail was fun and both sweet and strong at the same time! It was made with house infused peach vodka, dry curacao, cranberry, and lemon. I loved the umbrella garnish! We started with several salads and appetizers; my favorite was this Little Gem Goddess salad with green goddess dressing, Easter egg radishes, cucumber and avocado. 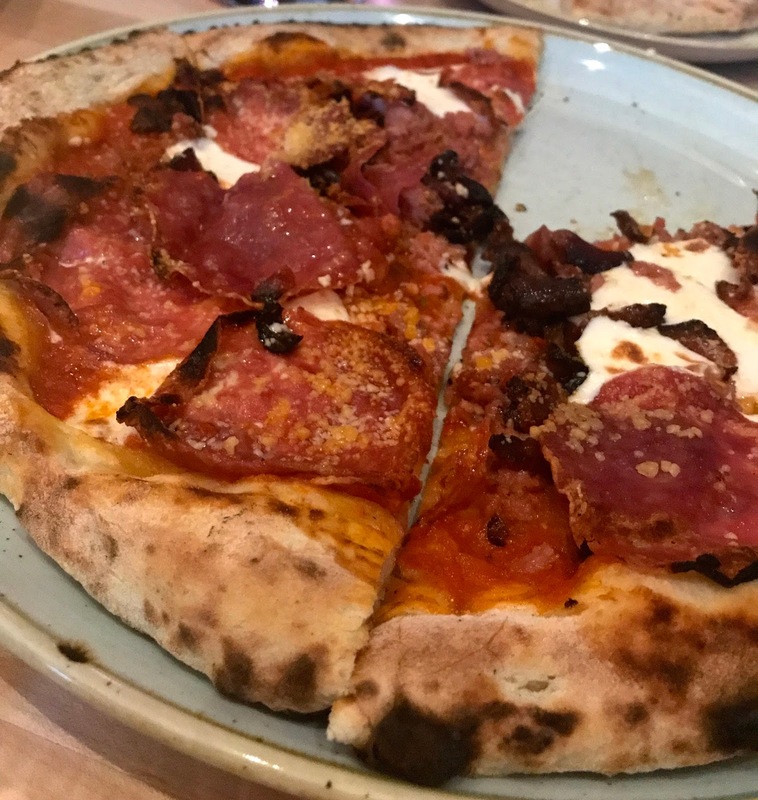 Most of the group shared several types of pizza, and some of the group favorites included more unusual options like bacon and clam. I ordered the gluten free version of the Not Pepperoni pizza, which was topped with fresh mozzarella, soppressatta, red onion & pecorino. It was one of the better gluten free pizzas I've had; the crust was thin and crispy but didn't fall apart like some tend to do and had a great char to it. Area 4 has locations in both Cambridge and the South End, so is convenient no matter which side of the river you prefer. I definitely suggest checking them out if you haven't already! 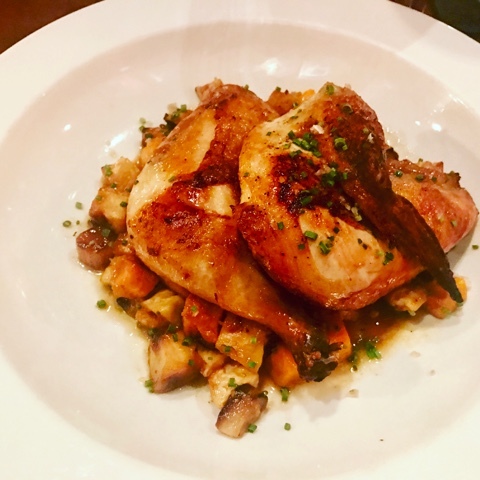 I've been hearing great things about Yvonne's for awhile, and after unsuccessfully being able to walk in for dinner (or plan far enough in advance to get a reservation) the finance and I headed in early on a Saturday night hoping to sit at the bar. Spoiler: We finally tried Yvonne's! I enjoyed sitting at the bar even more than I would a table because I got to watch the bartenders in action as they served up beautiful craft cocktails like this take on a classic gin and tonic with the addition of pink peppercorns which gave it a little bit of a kick. I tried several small plates and really enjoyed all of them, I honestly can say that I didn't have one favorite. I would come back and order every one of these dishes again! The meal at Yvonne's was even better than I expected, and definitely worth the wait! I hope to return again soon. 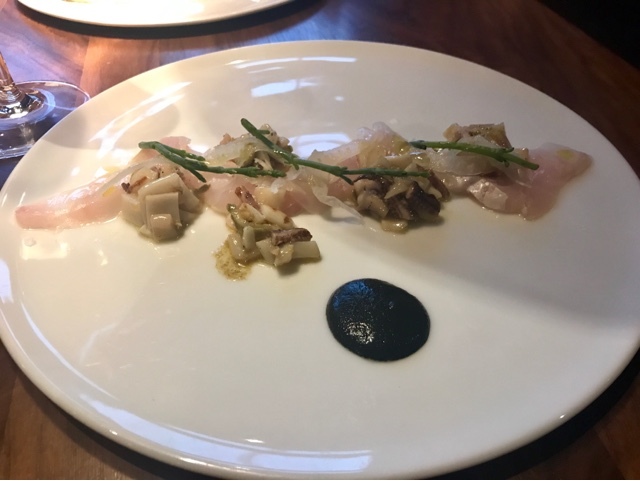 I recently tried Hops Test Kitchen in Inman Square with a Gilt City deal for a seafood tower and bottle of wine for $65. It was a great deal! 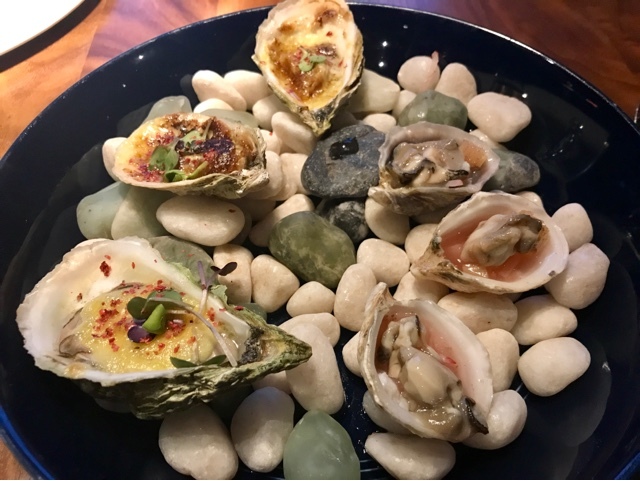 The tower included a selection of oysters, clams, shrimp, king crab legs, salt cod pate with made in house potato chips, and the crudo of the day. All of the seafood was delicious, and I was impressed at the quality for such a great value. I was equally impressed by the ramp butter, which our server explained is topped with sea salt from salt water collected personally by the Chef at various coasts throughout the area (our butter that night was topped with sea salt from Wells Maine). In addition to great food, Hops has a fun atmosphere and does a weekly trivia night. I definitely hope to make it in again soon to try more of the menu! Oak and Rowan opened earlier this year in Fort Point, and I was excited to finally try them a couple of weeks ago. 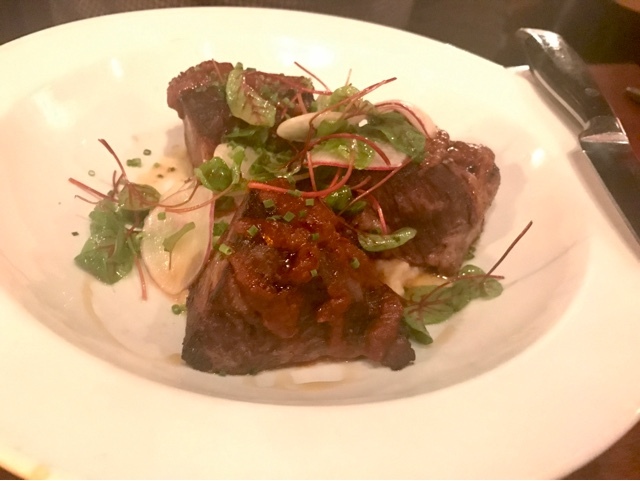 It's an upscale New American restaurant with a really creative menu - I wanted to try just about everything! We started with the half dozen oysters done two ways: the three east coast came broiled with butter and the three west coast were served raw with rhubarb, radish, and pink peppercorn. I loved the contrast of the two different styles and was glad I didn't have to choose between the two! Next was the bass crudo with squid, sea beans, fennel, and green almond. This was presented beautifully and tasted just as good as it looked; full of light, fresh flavor. 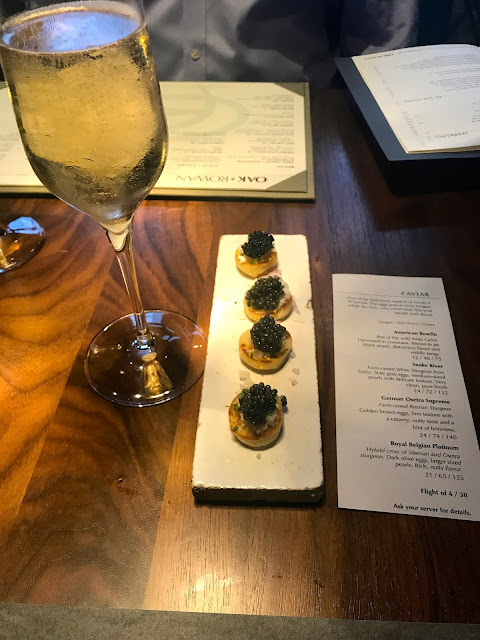 My favorite was the flight of caviar where you were able to sample four 1/2 ounce portions of different types of caviar including both American and Russian, and sturgeon and paddlefish varieties. It was fun to taste the subtle differences between each, and of course they all paired perfectly with a glass of champagne! 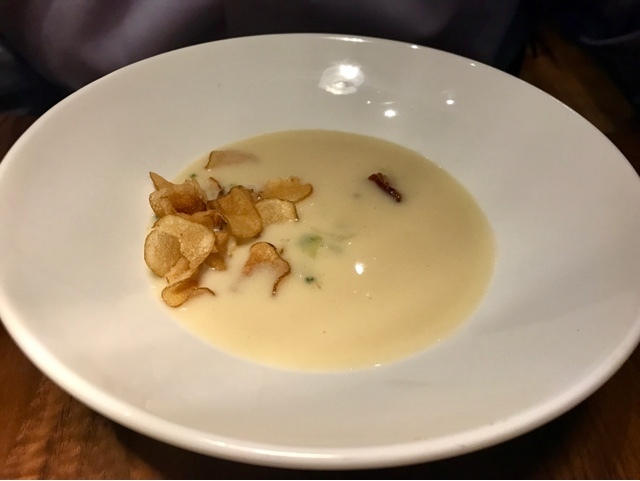 The fiance enjoyed this clam chowder with littleneck clams and pork belly, and homemade potato chips on top. 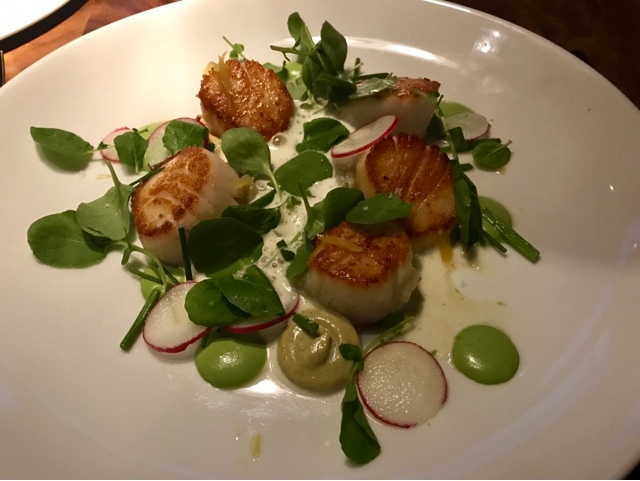 I ordered the sea scallops as my main course, with sunchokes, watercress and buttermilk. These had a nice sear on the outside and were a perfect medium rare on the inside. 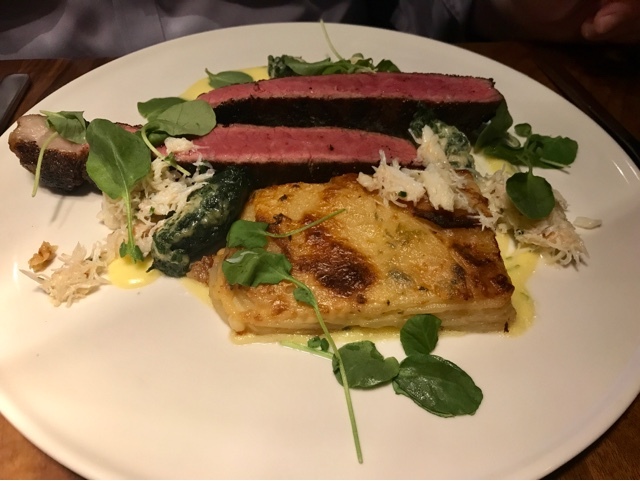 I also enjoyed a few several bites of the fiance's steak - this was a generous portion of prime sirloin served with creamed nettles, potato gratin, crab, and hollandaise. 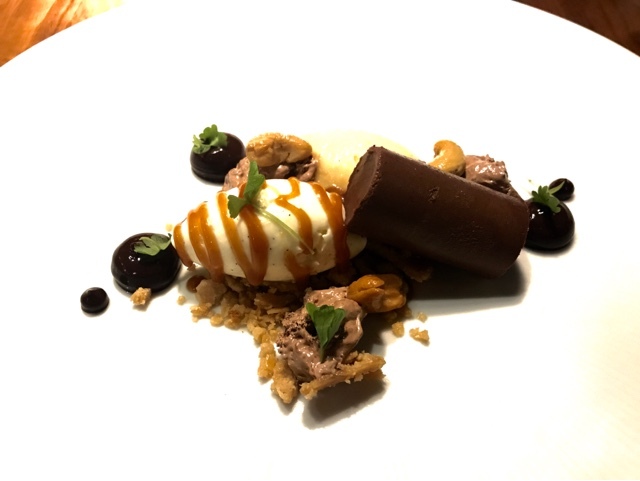 Of course I chose the chocolate dessert, the chocolate and cashew with taza chocolate, cashew mousse, and mascarpone. It was almost too pretty to eat but I managed to finish every last bite! 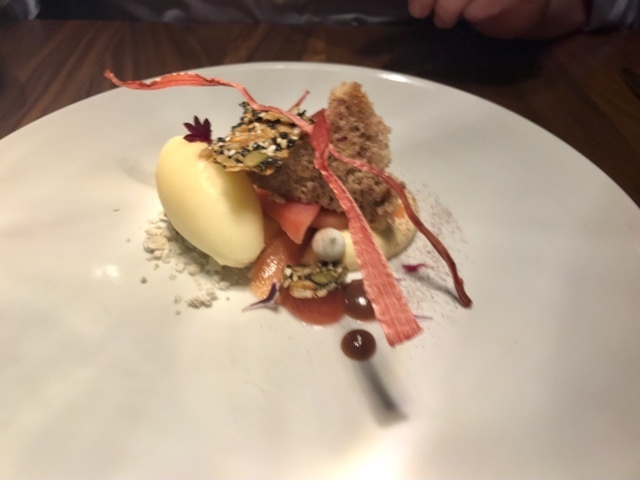 The fiance enjoyed his spring rhubarb dessert with hibiscus cake, orange blossom, tofu mousse, and a seed cracker. I enjoyed the entire experience at Oak and Rowan from the food to the service and atmosphere. It's definitely a new local favorite and I plan to be back soon! 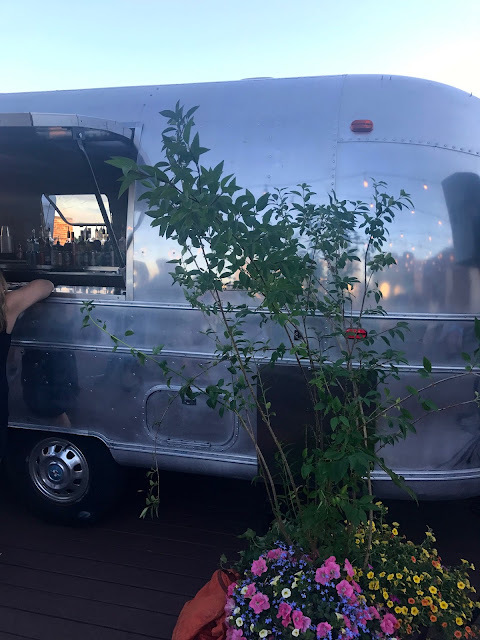 I enjoyed trying Coppersmith in Southie when they first opened, but it was winter and so the roof deck wasn't open. I was excited to check it out at an event earlier this summer to kick off the season. The view was amazing, there was live music, and the bar was set up food truck style! It was a night of firsts for me; I tried this really great wine in a can and whole roasted alligator. The alligator was not at all what I expected, it was similar to chicken but a little flakier and really fun to try! I also really enjoyed the whole roast pig with crispy skin (not pictured). 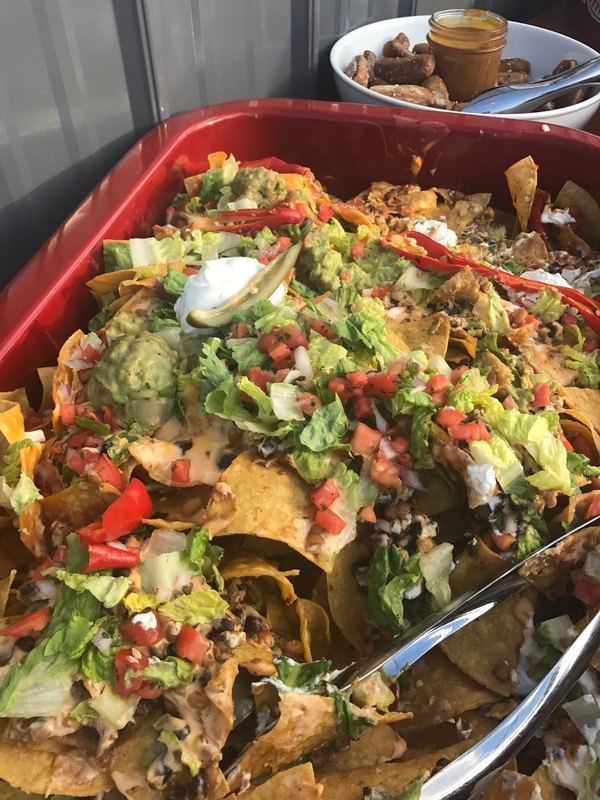 There were what seemed like never ending nachos topped with beans, cheese, guacamole, pico, salsa, and sour cream. These were definitely less adventurous, but very good! 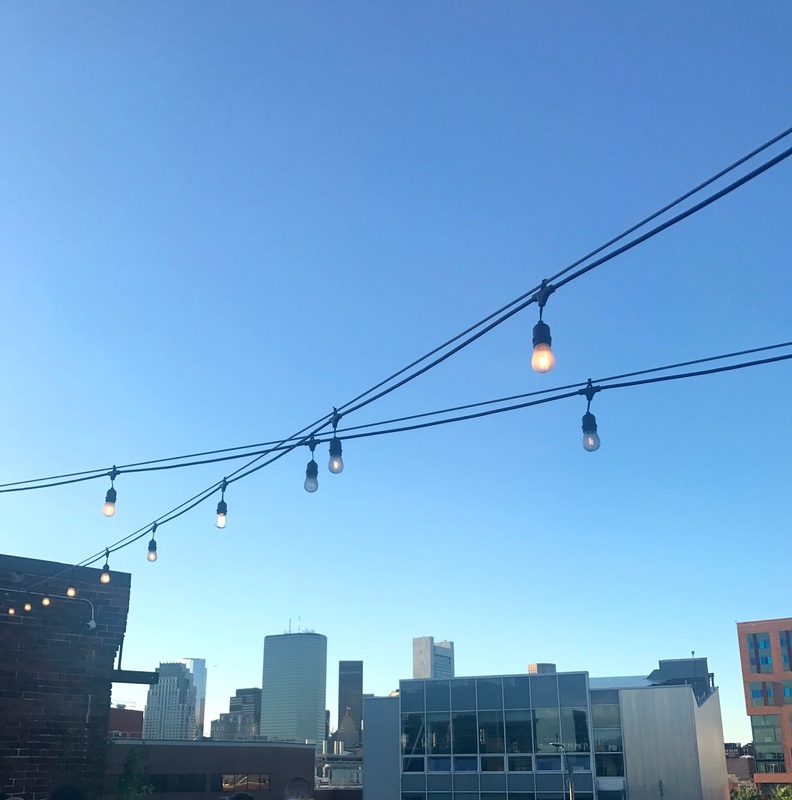 I enjoyed the food and drinks at Coppersmith and would definitely recommend the roof deck for a private event or party. Tennessee BBQ Burger with Memphis dry rub, sliced pickles, Memphis slaw, pulled pork, BBQ, fried onions, and cheddar. Ole burger from Barcelona included red pepper romesco sauce, aioli, roasted vegetables, goat cheese, and arugula. Buenos Aires burger with andouille sausage, salsa criolla, garlic aioli, monteray jack, fresh arugula, and a fried egg. I had mine without buns, but they do have gluten free buns available. It was fun to try all three; I enjoyed the lighter flavors of the red pepper and goat cheese on the Barcelona burger, as well as the richer, more indulgent combinations of fried egg and andouille and pulled pork on top of a burger. The cocktail pairings were delicious, and were all bright fun colors! I couldn't stop eating the fries with this creamy garlic sauce (my table may have ordered seconds thirds). Hard Rock's World Burger Tour is still going on, you can check it out in Boston or any of the locations listed here. Lord Hobo is a gastro pub in Inman Square with one of the most extensive beer menus in the city, and creative comfort style dishes. I hadn't been in a few years, but headed in for dinner with the fiance recently after finding a great Gilt City deal. 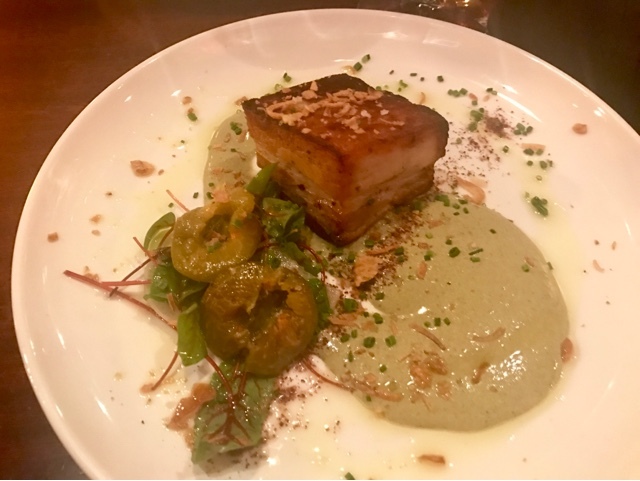 I started with the pork belly special, which was seared perfectly and served with cipollini onions and a vegetable puree. 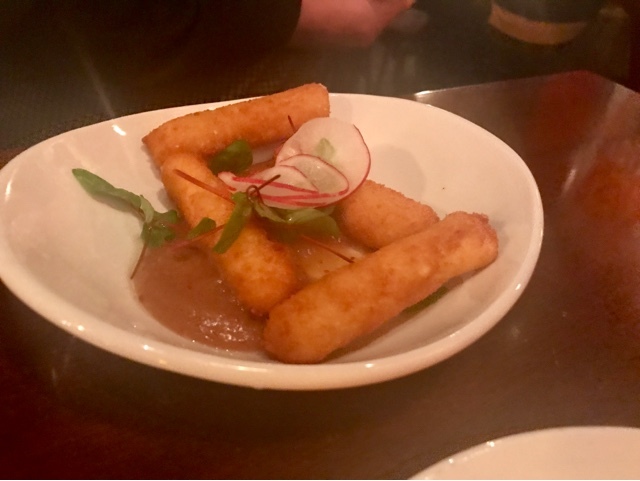 The fiance enjoyed his croquettes of fried goat cheese with grapefruit marmalade. I ordered the roasted chicken for my main course, which was served with very crisp skin - exactly how I like it! I loved the chicken, but was a little jealous of the fiance's braised short ribs and may have to try those next time I go! Lord Hobo is a great spot to go for a drink or have dinner; the place is always packed so I suggest going early so you won't have to wait!